Coming home from work I could not resist the peaceful view of the reservoir. so... if that's on your way home, where do you live? looks like some lovely countryside! I live in San Jose, CA and I work in San Mateo. 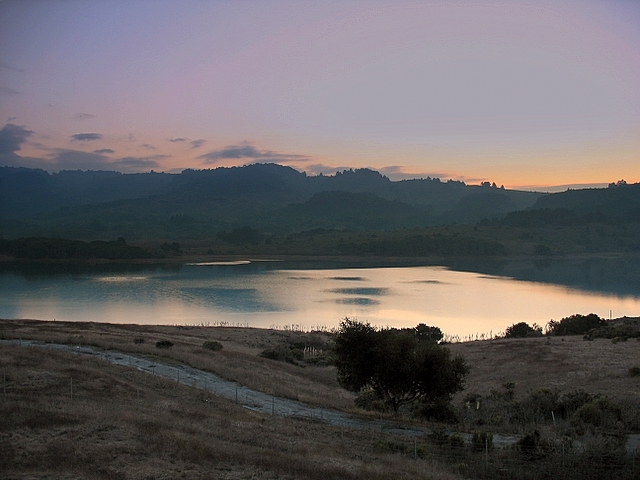 There is a reservoir next to Hwys 280/92, which can be seen from the freeway. Some days I take a country road (Canada Rd. ), which runs righ by the water. It's lovely.